Several airlines run regular flights to and from Udaipur, Rajasthan. Check out the cheap flights to Udaipur, India. Maharana Pratap Airport (Udaipur Airport) is a small airport, located at a distance of 22 kms from the city of Udaipur, near Dabok. Udaipur Airport is well connected with all the major cities of the country including Jaipur, Jodhpur, Mumbai and Delhi. 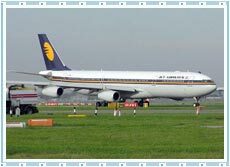 There are quite a few airlines that run frequent flights to and from Udaipur. If you are looking for cheap flights to Udaipur, then your search ends here since there are few airlines like Indian Airlines, Jet Airways and Air Deccan that provide regular air services to the city of Udaipur.